I. Opening Panel: The Hidden Hand of Intelligence. Joseph Wippl (Boston Univ. ), Intelligence Collection and Covert Action before 1989 after 1989 and then since 2001 [tbc]. Michael Goodman (King’s College, London), British covert action, stability and influence during the Konfrontasi in Indonesia. Jacek Tebinka (Gdańsk Univ. ), Information Research Department and Communist Poland 1956-1977. The Case of Political Warfare. Thomas W. Friis (South Denmark Univ. ), Disinformation, Surveillance, Fear, and Security. Johan Matz (Uppsala Univ. ), Soviet disinformation in the case Raoul Wallenberg. II. Soviet Style Active Measures Revisited. Ivo Jurvee (Internal Security Institute at the Estonian Academy of Security Sciences) What did Soviet active measures “really“ mean? Revisiting Mitrokhin’s legacy. Christopher Nehring (Deutsches Spionage Museum) Brothers in arms. Active measures against Franz Josef Strauss by the East German and Bulgarian state security services. Pavel Žáček (independent scholar, in co-operation with IPN), Czechoslovak State Security Apparatus, Active Measures and Disinformation. Michael Fredholm (Stockholm International Program for Central Asian Studies), Soviet Active Measures in West, South, and East Asia with regard to Afghanistan, 1980-1989. Adrian Hänni (Leiden University): Intelligence services, front groups, and the Religious Cold War in Eastern Europe: The case of the "Commission for the Persecuted Church". Władysław Bułhak (IPN), Vaticanists and intelligence. The role of „private” press agencies during the pontificate of Paul VI. Gordan Akrap (St. George Association / Hybrid Warfare Research Institute), Carlo Falconi, Pius XII and Yugoslavian Secret Police Active Measures. Ben Fisher (former Chief Historian of CIA), Operation Splinter Factor: A Cold War Deception. Peter Busch (King’s College, London), Anglo-American Intelligence and Covert Propaganda in Vietnam, 1955-1965. Glen Seagal (Haifa Univ. ), The South Africa Infogate Scandal. Douglas Selvage (BStU), The Stasi and the KGB's AIDS Disinformation Campaign. Gabriella Müller (NEB), The History of the International Organization of Journalists. 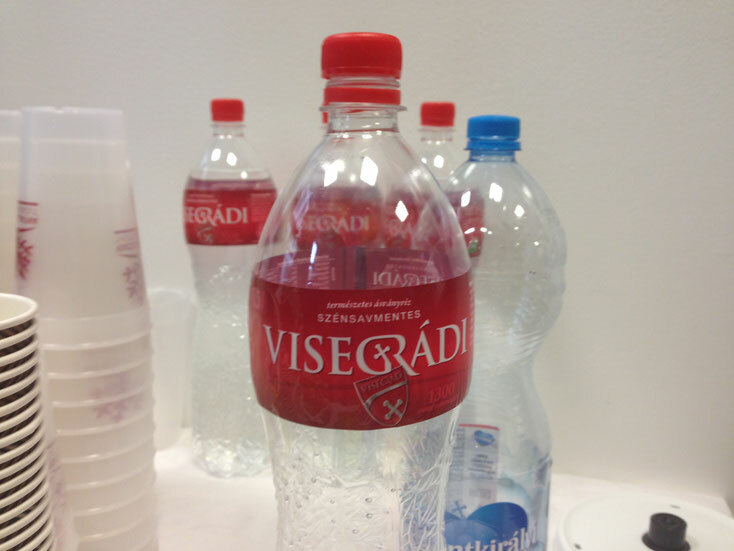 Hungarian Aspects. Adrii Rukkas (Taras Szewczenko National University of Kiev), The Polish Financial Support for the Exile Government of the Ukrainian Peoples Republic 1926-1939. Bernd Schäfer (Woodrow Wilson Center, The George Washington Univ. 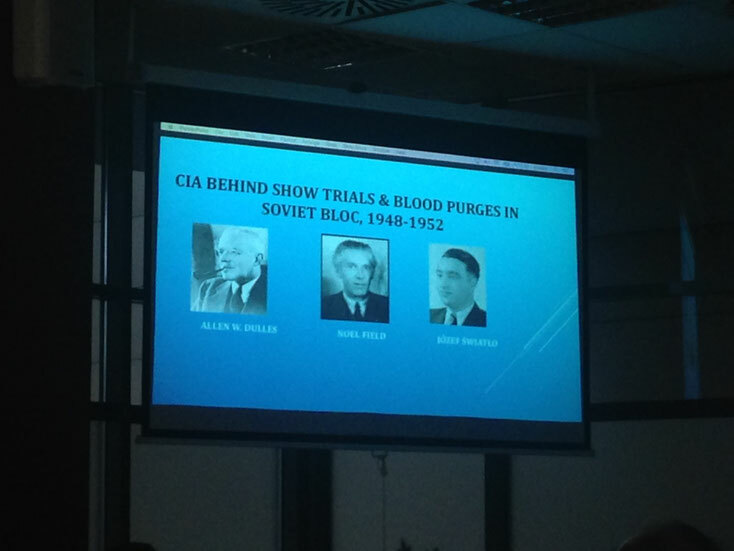 ), The CIA and Ukrainian Front Organizations. Enrico Heitzer (Sachsenhausen Memorial and Museum), The Fighting Group against Inhumanity: The Incarnation of Anticommunism in a Divided Germany 1948-1959. Marek Hańderek (IPN), Neutral Nations Supervisory Commission in Korea as an area of covert activities of the Polish intelligence during the Cold War.